Apps that you used and did not close can be found in Recent Apps. 1. From the Home screen, touch Recent apps. 2. All active apps will be listed. To view more apps, swipe up or down. 3. 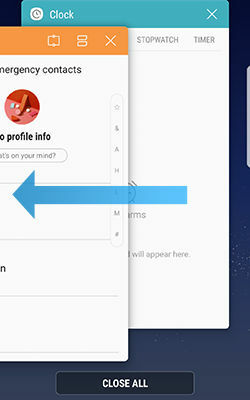 To close an app, swipe to the left or right. 4. To open an app, touch it. 5. To close all apps, touch CLOSE ALL.